We have exciting children’s programs, outreach literacy programs, adult programs, book clubs, story times, recreation clubs, hobbies, summer reading program, ten public computers with the internet, free WIFI, accelerated reading lists, newspapers, books on CD and MP3, music CDs, DVDs and reference books as well as downloadable ebooks, audio books, magazines and music. 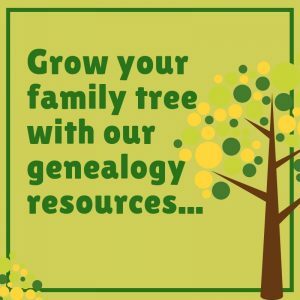 We have a wide variety of online reference databases available, including Ancestry (genealogy information). The Oliver M. Thompson History room is located in the library. We have an outdoor patio and fenced children’s play area. Use either Rt. 380 or New Texas Road. New Texas Road: At the intersection of Rt. 380 and New Texas Road, make a RIGHT onto New Texas Rd. After passing the Plum Creek Cemetery on your left, turn LEFT onto Center-New Texas Rd. The Library is located about ½ mile on the RIGHT. (Next to the Plum Borough Senior Community Center). Rt.380: At the intersection of Rt.380 and New Texas Road, stay STRAIGHT on Rt.380. Make a RIGHT onto Center-New Texas Road the library will be located ½ mile ahead on the LEFT. (Next to the Plum Borough Senior Community Center). Take Unity-Center (Unity-Trestle) Road to Rt. 380 (Saltsburg Road). Turn LEFT onto Rt. 380, then LEFT onto Center-New Texas Road. The library will be located ½ mile ahead on the LEFT. (Next to the Plum Borough Senior Community Center). Take Rt. 380 towards Boyce Park. Turn LEFT at “T” intersection onto Rt. 380, past Center Garage. Turn LEFT at the 2nd intersection, which is Center-New Texas Rd. The library will be located ½ mile ahead on the LEFT. (Next to the Plum Borough Senior Community Center). Turn RIGHT onto Rt. 380 headed toward Penn Hills. Turn RIGHT on Center-New Texas Road. The library will be located ½ mile ahead on the LEFT. (Next to the Plum Borough Senior Community Center). Take Logans Ferry Road to Leechburg, past the High School. Turn LEFT at the “Y” onto New Texas Rd. Turn RIGHT onto Center-New Texas Rd. The Library is about ½ mile on the RIGHT. (Next to the Plum Borough Senior Community Center). Take the Parkway East and then the Plum Exit, merge onto Rt. 48. Continue STRAIGHT at the traffic light and STRAIGHT at the 4-way stop sign. Veer to the RIGHT. At the stop sign, turn RIGHT onto Center Road (Orange Belt). Continue for at least 5 miles. After passing the main entrance to Boyce Park, continue to the bottom of the hill, turn RIGHT onto Rt. 380 (Saltsburg Rd). Turn LEFT at the 2nd intersection which is Center-New Texas Rd. The library is about ½ mile on the LEFT. (Next to the Plum Borough Senior Community Center). Take Harmarville exit, merge onto Rt. 910 for a short way to the traffic light. Turn RIGHT at the light onto Freeport Road. Continue STRAIGHT for the Hulton Bridge (Oakmont Bridge); Turn LEFT at the bridge light. Continue STRAIGHT up Hulton Road (hill), past Oakmont Country Club. Merge RIGHT, at the traffic light at Sheetz / S&T Bank. This is still Hulton Road. Follow Hulton Road for 4 miles past Community Supermarket. Continue going STRAIGHT under an overpass, through an ‘S’ bend. You will come to a ‘Y’ intersection; turn RIGHT onto Unity Trestle (Unity-Center) Road. Follow this road for about 3 miles to the ‘Y’ intersection and turn LEFT onto Rt. 380 (Saltsburg Road.). Make 1st Left onto Center-New Texas Road. The library will be located ½ mile ahead on the LEFT. (Next to the Plum Borough Senior Community Center).